Kate brings 10 years of architectural experience in every stage of design from feasibility studies to full contract administration and punch-listing. Her work includes multi-family and transitional housing, class A office, health clinic, historic renovations, tenant improvements, bars, restaurants, museums, single family homes, large industrial projects, and high-end commercial retail. 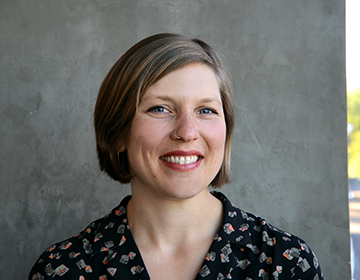 Kate has a passion for building technology and historic preservation. Both interests benefit modernization projects like the Southwestern Oregon Community College Health and Science Technology Building. Kate earned a Masters of Architecture from the University of Oregon and a Bachelors of Arts in Architecture from Yale University. She is a licensed architect in the State of Oregon and a LEED Accredited Professional.